I once consulted with a team that had been tasked with developing a social media strategy for their organization. They asked whether we should start the discussion with Twitter or Facebook, and said they’d prefer to start with Twitter as that was more important to them – and the channel they were working with the most. I asked why that was and they said that’s where they felt the majority of their audience was. 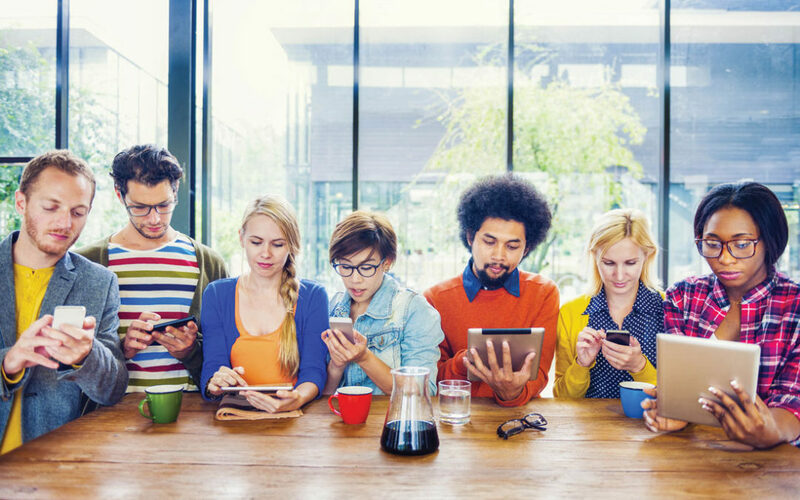 We took a quick look at their stats and in terms of inbound site traffic, 98 percent of social referrals were Facebook, less than two percent were Twitter. Remember, that outcome was with almost 100 percent of their effort going to Twitter. My recommendation? Let’s start the discussion with Facebook. As the social media terrain continues to shift, it remains critical to test your assumptions about your marketing efforts with actual data. You want the largest return on investment possible from your time and money, and that means knowing where audiences are, how they are engaging with brands (or not) and whether the traffic you’re driving from social is converting into a customer, a subscriber, or a return visitor. I don’t want to pick on Twitter (well, maybe I do), but according to this month’s social media site rankings from Hootsuite, Twitter ranks twelfth out of twenty, with one seventh of the monthly active users boasted by Facebook and fewer than half of Instagram’s users. Now I wouldn’t say that means ignore Twitter. On the other hand, I’m going to be heretical and suggest that, looking at these stats, and the stats of many organizations I’ve worked with, Twitter gets a vastly outsized amount of attention for the actual results it provides. I’ll compound this heresy by asserting this is because media people love Twitter, and that means they obsess over it in a way normal people don’t. (Yes, I’m a media person, and yes, not normal.) Because media people are fascinated by Twitter, politicians have discovered that by simply by posting to it, they can create news (whereas if they wrote a press release and sent it to a media outlet it may go ignored). If politicians are creating news there, it’s critical media people pay attention to it. And so on. The first thing to do in order to decide where to focus your social media effort is to look at your own analytics. Open Google Analytics’ Acquisition section, then choose Social and Overview. 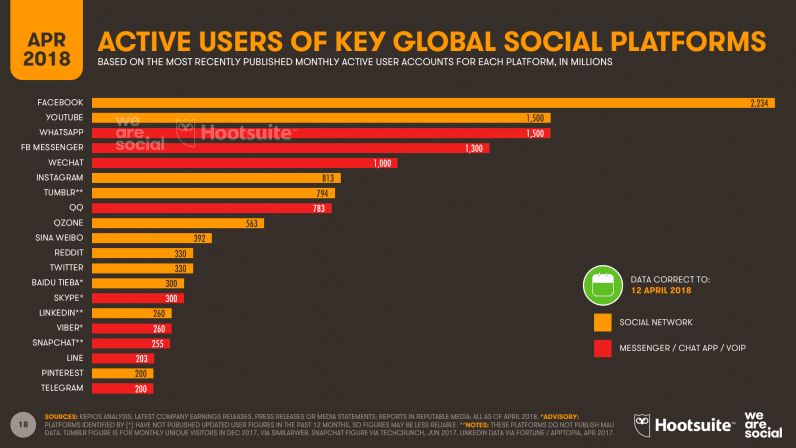 This will tell you how much any one social network contributed relative to the others. A second step would be to look at the Acquisition section Overview and see how much social as a whole contributed to driving traffic to your site. Now that you know what social channels are driving the most traffic to your site, you can find out which one of those are contributing the most to your success. It’s possible that you could be working a social channel really well and driving traffic, but that none of that traffic is coming from potential customers. To do this, you’ll need to consider Conversions. 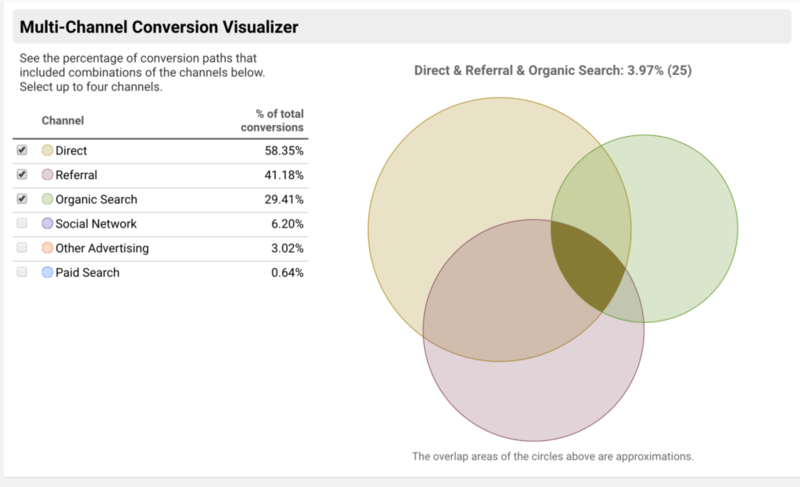 Once you’ve set up Goals and/or Ecommerce in your Google Analytics account, you’ll be able to click on the “Multichannel Conversion Visualizer” under the Conversions section and see which channels are driving conversions, and which aren’t. One of the key trends in social this year, identified by the We Are Social/Hootsuite Digital in 2018 report is “The evolution of social ROI.” That means business people are realizing that we don’t have time for “vanity metrics.” A lot of followers? Great. Did any of them buy anything? Taking the time to review these few reports, and to set up goals in your analytics account, will help you ensure your valuable time and money spent on social efforts are driving more than just likes; they’re driving results.